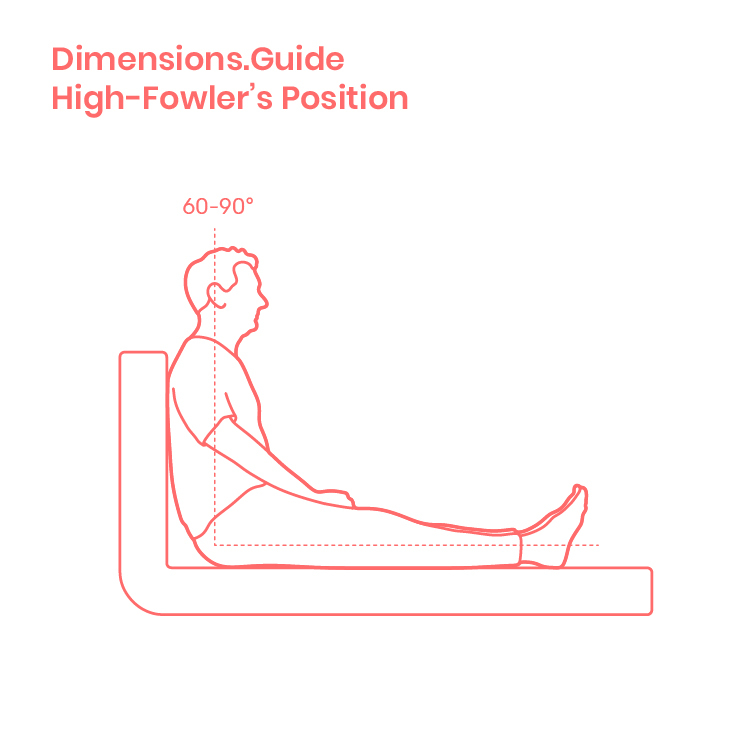 The High Fowler’s position is an upright medical position where the patient sits elevated with head and upper body raised at an angle between 60°-90° in relation to the lower body. The knees of the patient may be bent or straight depending on comfort and need. The High Fowler’s position is commonly used for feeding the patient, improved breathing, for radiology, grooming, and other circumstances that require an upright posture.